10 sheet minimum order. 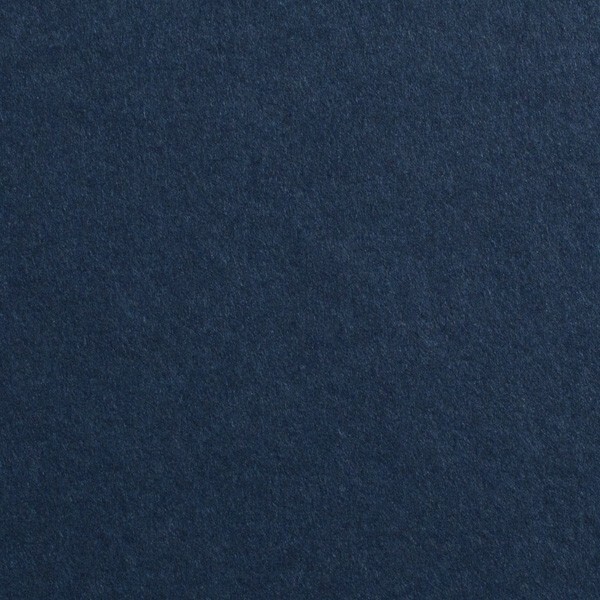 One carton of Gmund Colors Matt #59 Midnight Blue 27.5" x 39.3" 111# Cover Sheets is 100 sheets. Please note that a broken carton charge of $20 will be added to the order if less than one full carton of this item is ordered. There will be a maximum of one broken carton charge added to the entire order if more than one carton is broken. This charge will not be reflected on the web invoice viewed prior to submitting your order and will be added manually by our office staff. Gmund spent two full years developing what has become the most finely harmonized, comprehensive, intensive and combinable pallete of colors ever produced. The Gmund Color system makes designing a cinch because it was designed so that every color is a perfect complement to every other color and finish in the grade. Whether you are a trained designer with color expertise or color blind, you simply cannot go wrong putting two colors together. The Gmund Colors Matt has a natural aesthetic and a unique feel that allows the paper to surpise, fascniate, stay understatedly in the background or be the focal point of the piece. Gmund Colors Matt #59 Midnight Blue 27.5" x 39.3" 111# Cover Sheets is one of these products and amongst the hundreds of skus that Announcement Converters keeps in stock as part of the Gmund Colors range ready to ship the day it is ordered.